Microsoft Dynamics 365 comes with several powerful reporting features. It includes a set of out-of-the-box reports that provide useful business information, and it also allows users to create reports using Report Wizard and the authoring tool. But for Dynamics 365 (Online), one of the highly sought-after features is the ability to schedule the delivery of reports. 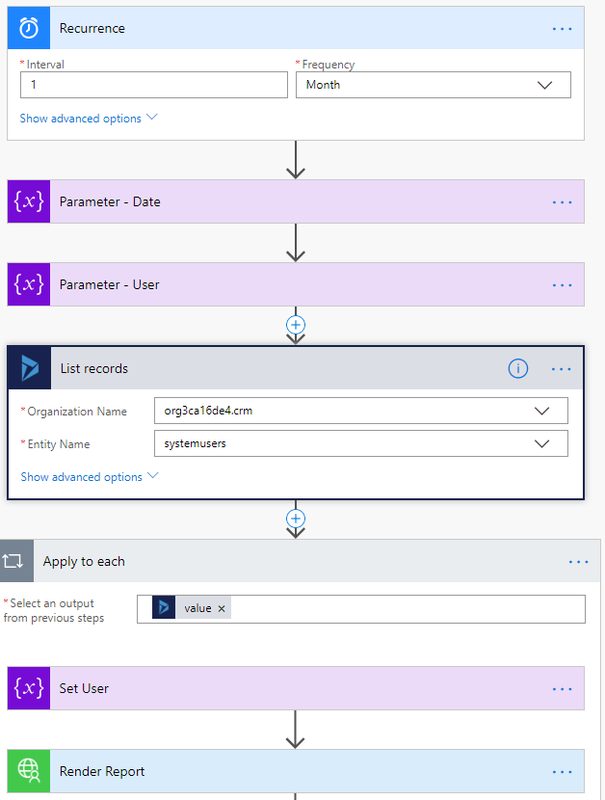 Thanks to the extensibility of the CRM platform and the contribution from the CRM community, this is now possible by using MS Flow and a custom solution. In this blog, I am going to share my experience in achieving report scheduling for one of Encore’s customers. The client has one report with users as a parameter. 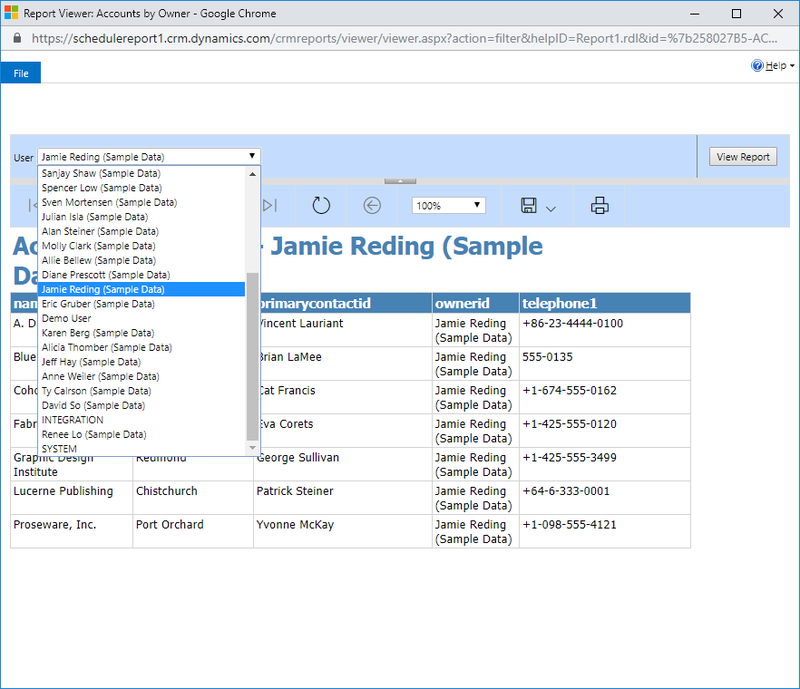 By selecting a user, the report displays the associated records. The requirement is to schedule an email of this report to the list of users. Install and configure the Report Scheduler solution, this requires configuration on both Dynamics 365 and MS Flow. This will create a custom Flow action; Render Report. In MS Flow, configure a monthly scheduled trigger to retrieve the list of users who will receive the report in an email. With each of the retrieved users being passed as a parameter into the report, the report is rendered into PDF using the custom Flow action. The final step is to compose an email with the generated PDF as an attachment (Alternative option; you can compose the report content in an email body). 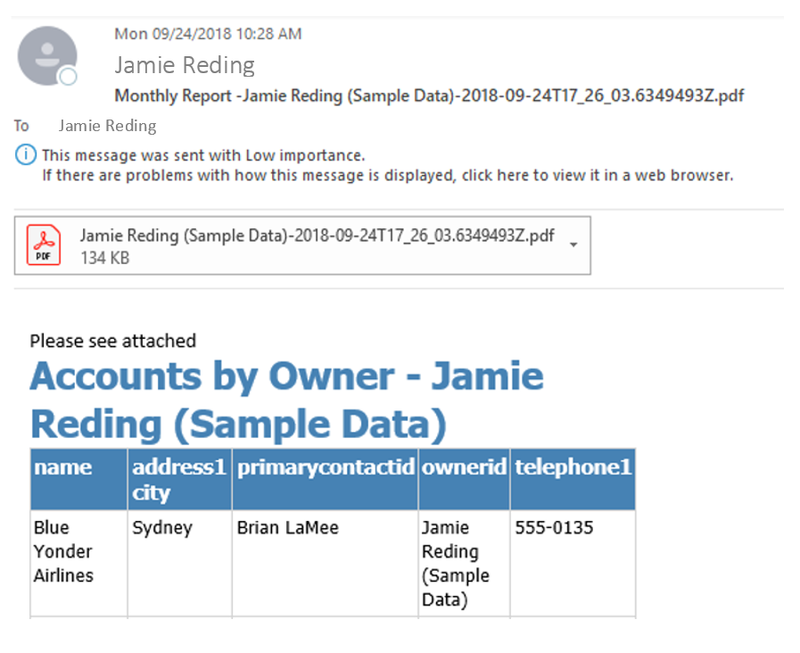 If you have any questions about scheduling reports in Dynamics 365, please connect with us. As one of Encore's CRM Solution Specialists, Jack works with his clients to provide them innovative CRM solutions to what are challenging business problems. With Jack's wide knowledge of programming languages complimenting his Microsoft Dynamics CRM knowledge, Jack is able to provide the creative solutions that sometimes escape others.